This is the excellent Jaguar E-Pace which combines SUV performance with sports car looks to deliver a dynamic and impressive vehicle. Aimed at busy families, the E-Pace is packed with the latest connectivity equipment and is loaded with practicality and good ideas. However, as a compact SUV it’s a sound alternative to the likes of the Audi Q3, for instance. This is the latest SUV offering from Jaguar and comes a year after the excellent F-Pace made its debut and the impressive I-Pace electric SUV was unveiled for sale next year. The all-new Jaguar E-Pace has managed to beat the I-Pace into the showrooms and will be on sale from early next year. Also, this will be the first Jaguar that’s not built in the UK and instead will be assembled in Austria. 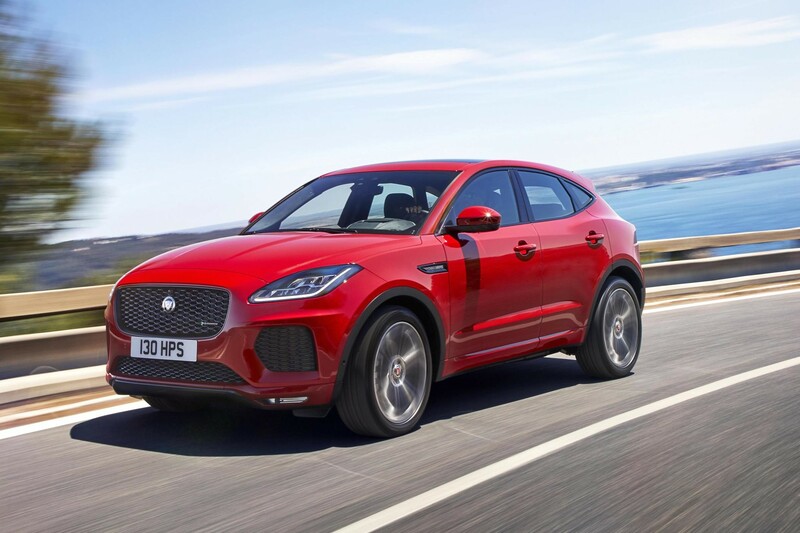 Another first that may tempt drivers is that the E-Pace is the first Jaguar that’s available with front wheel drive – the first time since the X-Type. The cabin has also been well designed and there is a large 12.3 inch colour touchscreen display along with a head-up display so the car’s vital information is displayed on the windscreen. 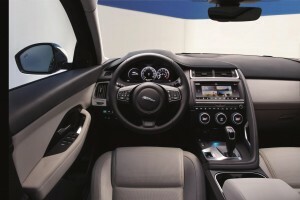 The all-new Jaguar E-Pace will also deliver excellent driving abilities and drivers can personalise the steering, transmission and throttle settings with its ‘configurable dynamics’ technology. Essentially, while the E-Pace is described by Jaguar as not being a ‘baby F-Pace’ there are similarities in some elements of the design and the vehicle’s dynamics. Indeed, drivers will find an SUV that is agile and has the option of all-surface traction and the lightweight suspension delivers a nimble performance. There’s a choice of the firm’s Ingenium diesel and petrol engines with a sporty petrol unit developing 300 PS which will help propel the E-Pace from 0 to 62 mph in less than six seconds. One of the big attractions, in addition to the excellent levels of handling, is the sports car interior which is an impressive and comfortable place to be. It’s also been designed for everyday use, for instance among the practical ideas are doors that open to the bottom of the vehicle so those getting in and out will not end up with dirty trouser legs. The excellent Jaguar E-Pace will be available to order in early 2018 with prices starting at £28,500 and there is a lot to recommend it. 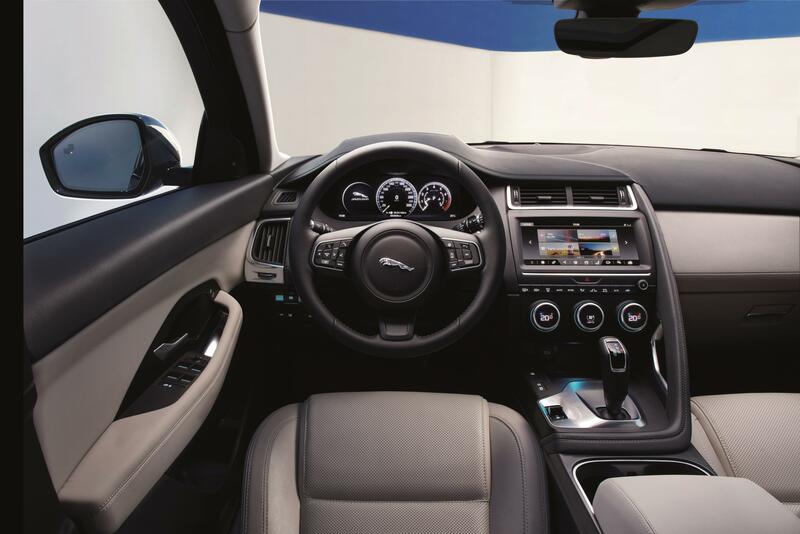 This entry was posted in Car Leasing, Cars, Crossover Cars, New Cars and tagged Jaguar E-Pace by Steve Lumley. Bookmark the permalink.